The bell that rang in Birmingham, Ala., on the day four girls were killed in a bombing made its way to Washington, D.C., for the 50th anniversary of the March on Washington. The bell was loaned to the District by Birmingham officials for Wednesday's events, marking the anniversary of Martin Luther King, Jr.'s "I Have a Dream" speech Aug. 28, 1963. On Sept. 15, 1963, the bell rang at the 16th Street Baptist Church in Birmingham as it had any other Sunday. That same day, an explosion at the church killed four young girls, fueling the Civil Rights Movement. 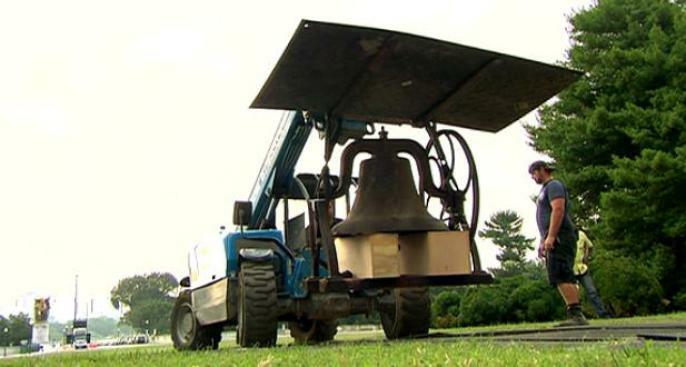 The bell was unloaded at the Lincoln Memorial Tuesday. Presidents Bill Clinton, Jimmy Carter and Barack Obama are among the speakers during Wednesday's ceremony.